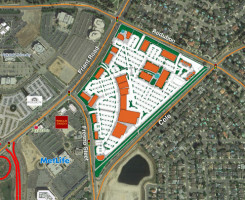 Park Crossing is positioned at two of the most highly-trafficked intersections in North Fresno, this 40-acre, mixed-use site is optimum for retail, residential, and office space. 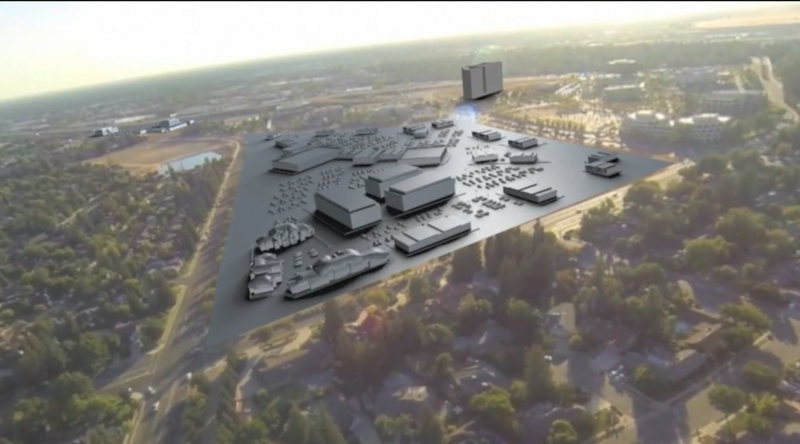 The combination of visibility to over 200,000 cars per day, nearby amenities, and proximity to Fresno’s growth “hotspot”, make Park Crossing a one-of-a-kind location. 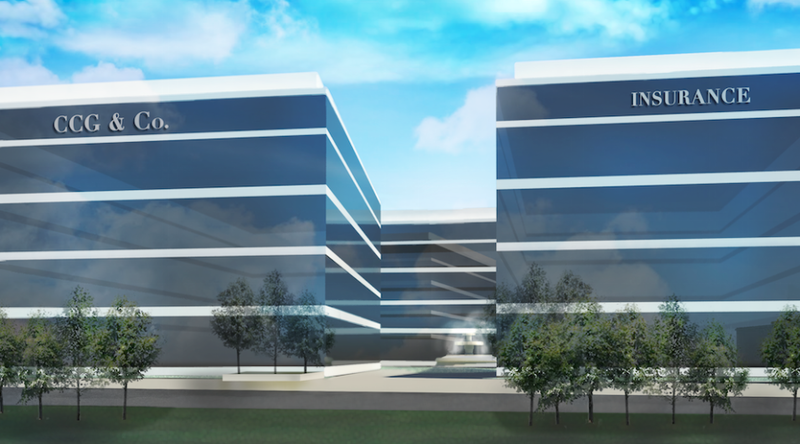 The development will feature over 500,000 square feet of retail, service and office uses, and is immediately adjacent to approximately 4,000,000 square feet of existing office properties. Park Crossing is situated on Friant Road, between First and Fresno Streets, and provides easy access with six points of ingress/egress. 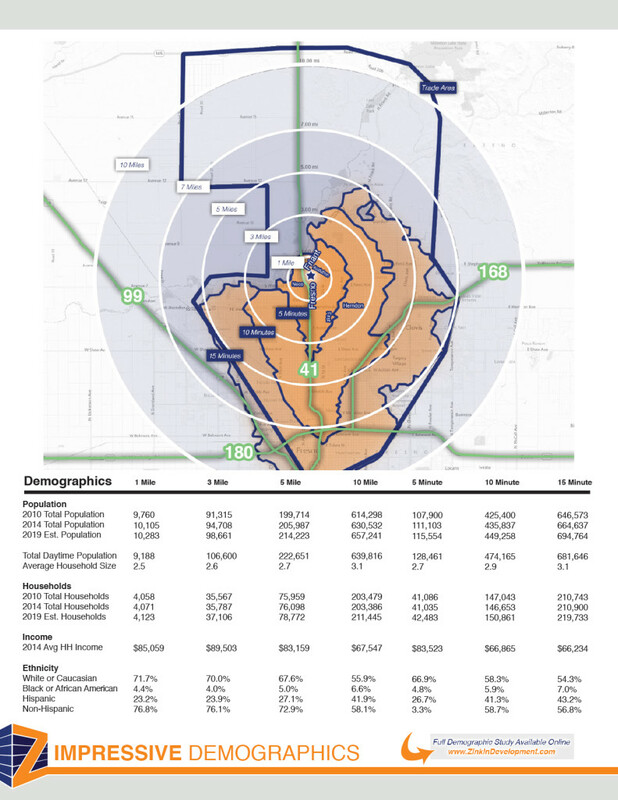 The site is strategically located near the nexus of Friant Road and Highway 41, in the heart of Fresno’s growth pattern. Friant Road is the major expressway to the area’s most rapidly growing residential population. The center is highly visible, convenient and pedestrian-oriented. The site provides ample parking, a cohesive layout, and visibility from California Highway 41. 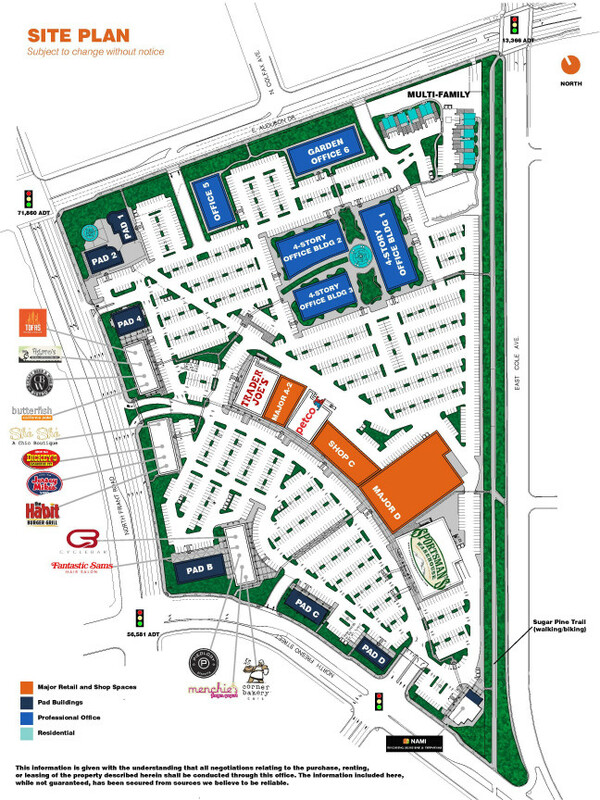 Park Crossing is a large-scale, transformative, mixed-use project which provides living, working, shopping, and entertainment amenities desired by today’s families and businesses. The shopping center is surrounded by an area known for an affluent socio-economic mix, with a highly educated population. The site will be highlighted by beautiful landscape inspired to mirror that of the neighboring Woodward Park, a 300 acre Regional Park offering a variety of bike, hiking, running and horse trails. Woodward Park features a variety of outdoor venues for meetings, gatherings, weddings and picnic areas. Venues include an authentic Japanese Garden, a dog park, play grounds, bike course, a lake and numerous koi ponds.